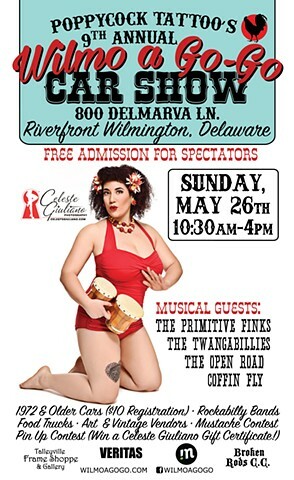 Poppycock Tattoo's 9th Annual Wilmo a Go-Go Car Show will be held at the Wilmington Riverfront- 800 Delmarva Ln., Wilmington, DE 19801, on Sunday, May 26th, 2019 from 10:30 AM - 4 PM. Come for the cars and stay for the bands, food trucks, art/ vintage vendors plus Miss Wilmo a Go-Go pin up contest & men's beard/ mustache contest! 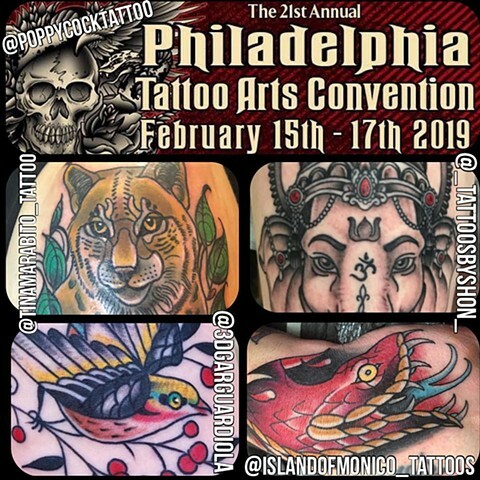 Make your appts now for the Villain Arts Philadelphia Tattoo Arts Convention Feb 15th-17th with Tina Marabito, Tattoos by SHon, Ken Monico Tattoo's & Edgar Guardiola Tattooer! See you there! ADVANCED TICKETS SALES are now available on the convention website! 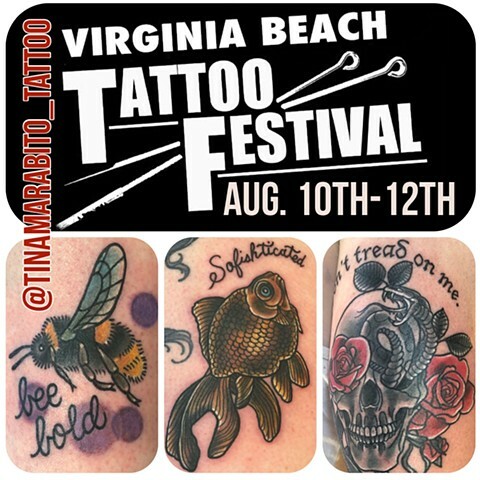 Poppycock’s Tina Marabito will be tattooing at the Virginia Beach Tattoo Festival from Aug. 10th-12th 2018. Email Tina here to book an appointment. See you there! 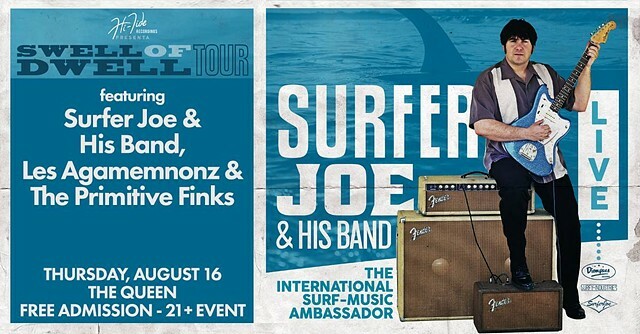 Poppycock Tattoo & Hi-Tide Recording present Italian surf band Surfer Joe & French surf band Les Agamemnonz at The Queen Wilmington on Thursday, August 16th at 8pm. Opening band The Primitive Finks will be on at 8:30pm. Free Admission! Live Surf Music! Dress in your best tiki attire! Sorry! Must be 21 or older to enter. 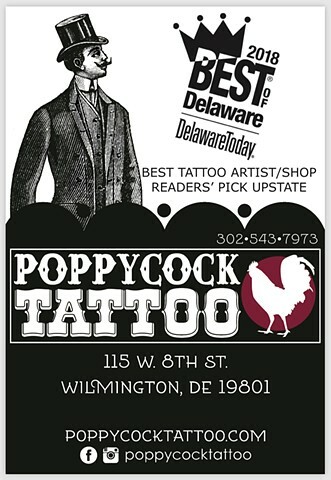 Excited to announce Poppycock Tattoo won Delaware Today 2018 Best Of Delaware - Readers’ Choice Upstate Tattoo Artist/ Shop! A big THANKS to our clients for the love and support! 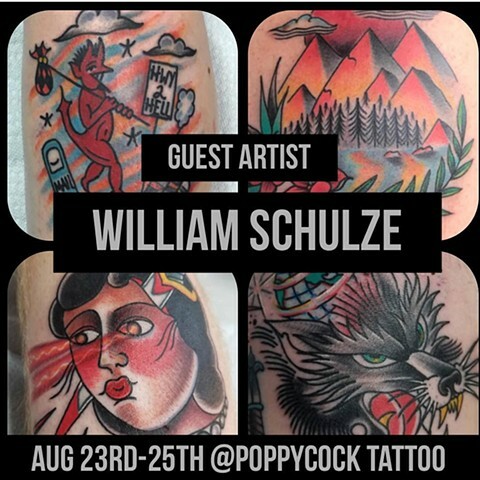 Poppycock Tattoo's Wilmo a Go-Go Car Show: Come for the cars and stay for the bands, food trucks, cool vendors and Miss Wilmo a Go-Go pin up contest & men's beard/ mustache contest! FREE ADMISSION for spectators. Vintage Cars: $10 registration fee.